So this past Saturday I got to experience my favorite event in all of Texas, The Red Dirt BBQ and Music Festival held in Tyler, TX. For those who aren’t familiar, this is a one day event held in downtown Tyler in May of each year.  The day includes BBQ from some of the top joints in Texas and music from some of the best Red Dirt/Texas Music Artists out there. The event begins with the VIP entrance at noon and that is when I arrived. 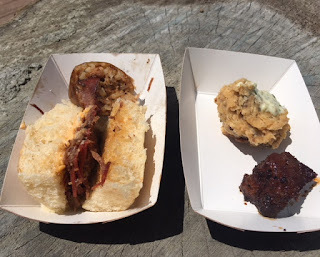 During this time you can sample BBQ from all the joints with little crowds. Most joints stick with the basics such as brisket, ribs, and sausage while others love the freedom to be creative and cook items not on their menus. 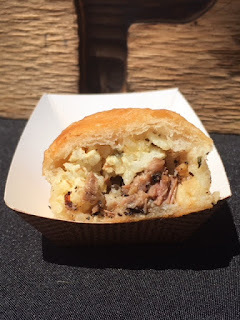 I had several pitmasters tell me their favorite part about Red Dirt was the laid back atmosphere and the ability to do what they would like with their food. Some of my favorite dishes included the pulled pork sliders from Truth BBQ (I MUST get down to their joint soon), the beef rib with shaved truffle from Bodacious Bar-B-Q Mobberly Ave, the pulled pork and mac and cheese egg rolls from Bet The House BBQ and the famous Prime Rib from Evie Mae's. 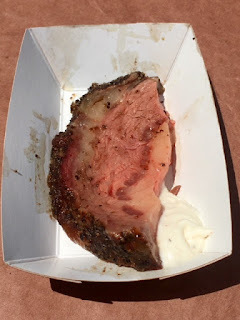 One of the coolest things about Red Dirt is it’s one of the few times you can sample the BBQ Creations from Meat Church, a popular rub company and cooking school out of Waxahachie, TX. 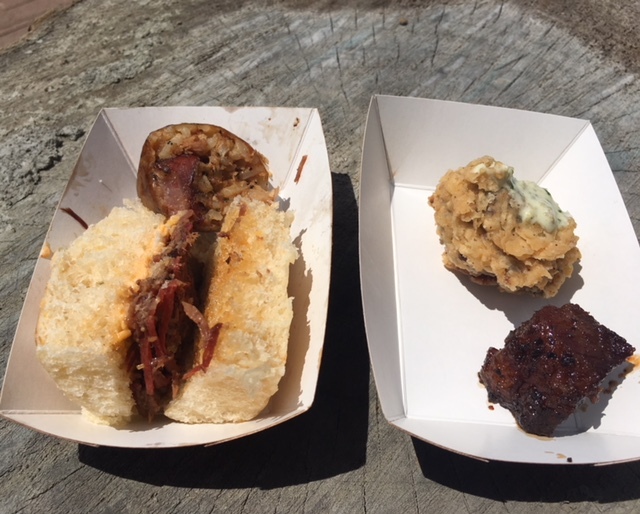 While they presented 4 items, one of the best and most popular was their take on the chicken fried brisket burnt end. Honestly I didn’t try a single dish all day that I didn’t enjoy. By 1:00 when General Admission was let in I was full and happy. BBQ is the main attraction for the first 3-4 hours of the festival and then around 4 PM the Main Stage comes alive. This year’s lineup included Read Southall Band, Josh Weathers, Koe Wetzel, Pat Green and Aaron Watson. All the bands brought their A game, but for me the highlight was Pat Green. Being a college kid in the late 90’s in Lubbock Texas, Pat was as much a part of my college experience as text books and beer. It has been a good 10 years since my last Pat show and I was anxious to see him once again and he didn’t disappoint. Pat played songs from throughout his career and was energetic the entire time. At one point he said this had been the most fun gig all year. This was a common theme I heard all night. Everyone from pitmasters, musicians, and media stated this is the most fun they have all year and I couldn’t agree more. This is a party that can’t be missed. Next year’s Red Dirt Festival is on Saturday, May 4th. Tickets go on sale February 1st. This is when you want to stop reading and set your reminders now because this will sell out in a matter of hours.